Himalayan Salt Lamps can help relieve stress, anxiety, improve the quality of air around you. This is great news for Asthma and Sinuses sufferers. There has been an increase in demand for Pink Himalayan Salt Lamps for various reasons ranging from the aesthetic addition to the area rights to helping with various health benefits especially for those with respiratory issues along with others feeling stressed and anxious. The Pink Himalayan Salt is taken from Salt mines mostly from the foothills of the Himalayan Mountain range of which Pakistan is part of. The salt mine of Pakistan has the second largest salt mine in the world. The Himalayan Pink Salt is hand-mined and comes in many forms. Some are ground down to crystals to use for culinary dishes, which can be found fine or coarse. While others are found in large pieces that can be created as Candle Light holders, chunky pieces found in a basket as shown above right up to various sizes of Salt Lamps. The Salt Lamps also range normally by weight where some can weigh as little as 2-3 Kg (4-6lb) some can go up to 90Kg (198lb) or more. These huge heavier pieces are normally for large areas not normally seen in homes in general. But there is nothing stopping you from having such large pieces if the price is right for you. Normally Pink Himalayan Salt Lamps found in homes and offices range from 2-3 Kg (4-6lb) up to 13-16Kg (28-35lbs). This one I have sitting at my computer desk and loving it. 1. That there are no salt mines in the high altitudes of the Himalayan Mountains. Then again how many mines of any sort will be seen in higher altitudes of any region? For starters, Salt mines like many other mines normally start at the foothill or ground level, from there it gradually continues underground to many levels deeper down. 2. Another comment seen is that Pakistan is not in the Himalayans nor at Mt Everest and K2. Mt Everest and K2 are only part of the Himalayans. In fact, The Himalayan Mountain range actually stretches through five countries as shown in the image below. This starts from the country of Bhutan, right through to the foothills of Pakistan. This is the true Himalayan Mountain range they fail to mention, that is why much of the salt mines within Pakistan comes from the foothills of this huge mountainous range. 3. It should not be called Pink Himalayan Salt as they are not in the Himalayan Mountains but in Pakistan. Part of this answer relates to question 2 above with the location. This is because the salt has been taken from the foothills of the Himalayan Mountain Range which in this case the salt mines are in Pakistan. Remember, the Mountain range covers a large area and such skeptics prefer to localize the area to a small spot such as Nepal and focus on Mt Everest and the K2 Mountains. This is just another false twist to their tales possibly because they do not believe in the health benefits or otherwise in the salt lamps. Which is fine but don’t twist words when it is false. There are many who will swear with the benefits the salt lamps and indeed the Pink Himalayan Salt can provide in other forms as well. The only way to know the truth is to try them out as the prices can range from $20 to about $150 on average, depending on the size of the lamp. Is $20 or even $150 worth spending to improve the health benefits even for the health of your children? Further down you will see what is mentioned that can be of benefit to you and or your family. Now the colors that you will find with many Himalayan Pink Salt lamps will not always be pink but in fact, will have a range of colors from White to an orange-reddish color. The various colors are due to the minerals and iron content found in the salt; some may be lighter or darker depending on the content found in each piece. The more iron, for example, the darker the hue in colors. This is why you will not find the identical color or even shape as all salt lamps are unique to themselves. The salt used for the lamps are hand mined and later they are hand carved into various shapes as you can see from the above images. Due to the popularity, other shapes and forms have eventuated such as candle lights holders, basket lamps, salt slabs, and many other varieties. Without going too deep in Chemistry, here we focus on the ions relating to the Salt Lamps. There are positive and negative ions both in the atmosphere and also produced by certain devices. Not only are they in the atmosphere but you will find that Positive Ions are also produced by electrical equipment. Some of these are Mobiles, Computers, TV’s and many other electrical sets you will find at home, office and within the factory environment. You will also find large amounts of positive ions around many cities, particularly where there is a lot of electrical equipment. There have been studies shown that when there are large amounts of positive ions within the atmosphere people along with animals have been found to be lethargic, tired and drained. These issues for some can create further issues if action is not taken to remedy. Such as depression, anxiety and many respiratory issues one can face. But when there is an increase in negative ions the opposite would happen when it seems life has just sprung and there is energy within and around them. People become more active and also more productive as well. Many find the air is cleaner and their breathing has improved. These uplifting experiences can also be found when going out for a walk along the beach, forest or valley, being near a waterfall even during or just after a storm there seems to be an upwards lift in the atmosphere. Have you felt that change in attitude during or just after a storm, Perhaps you feel much more refreshed when at the beach or taking that walk in the woods? These are the most beneficial places you can be or experience in order to gain a regular amount of negative ions. However, I don’t recommend standing out in the storm to prove the point. This is because such places or events create a stronger amount of negative ions that are so beneficial, you start to feel good almost immediately. For whatever reason, not everyone is able to go or be at such places mentioned above practically on a regular basis. So the next best thing is to start at home, in your office and have a few Himalayan Salt Lamps around you. You can purchase ionizers which are machines that create ions in the air but many can be costly and look ugly as well. Again the choice is up to you. The Pink Himalayan Salt Lamps look much better and give that ambiance feel within the area it is placed. This ambient look has further benefits that are mentioned further below. Most lamps have a 10 to 15-watt bulb which is all that is needed and when it is turned on the salt lamp warms up and as a result, the negative ions are produced. Any wattage less than 10 (though 15 is best) doesn’t adequately warm up the lamp to obtain the full benefits. For the extremely large lamps, you may need a 40-watt bulb but this is the super large lamps around the 20 plus Kilo mark. So the cost-effectiveness needs to be taken into the effect of having a lamp compared to a machine which would use more electricity. Some Himalayan lamps and especially the holders have candles instead of the lamp. But these are smaller and the range of ion benefits is smaller too. Nevertheless, they add to the effect and atmosphere of the room. This means that hygroscopic substances such as the Himalayan Salt Lamps will attract and hold water molecules present in the atmosphere. Bacteria and any spores that are present within these trapped water molecules begin to get trapped and destroyed due to the Hygroscopic action of the salt. Salt helps to absorb moisture and dry the area which bacteria, along with some viruses and spores can’t survive in. This is another reason why Salt has always been used to cure foods and the saltiness foods as it destroys bacteria that may try to contaminate food. This method goes back hundreds of years back in the ancient days of old. Not only are the bacterial properties destroyed, but you will also find that dust gets attracted to the salt lamps as they sweat when not in use not much just a little. The dust around the air will naturally connect with the Salt of the lamp. By being attached to the salt lamp it will not be able to float into the air within the room or office. This is another indirect benefit in having the Himalayan Salt Lamps. These actions of destroying the bacteria and other pollutants trapped will only work when the lamp is turned on. So it is best where possible to have it on most of the day. That is one of the reasons why the bulb is only 10 or 15 Watts as the lamp should only be warm, not hot. Do not place a stronger bulb than the 10-15 watt as this not only will create the lamp to be too hot which can be dangerous especially with children around but will not work as effectively as it should. As stated earlier above super large lamps may require a higher wattage but see your supplier for further advice. Of course, if going away on holidays turn it off and even unplug your connection. Also, cover your salt lamp with plastic or plastic wrap as this will help to protect it from Humidity and moisture while you are away. What benefits does the Pink Himalayan Salt lamp have? 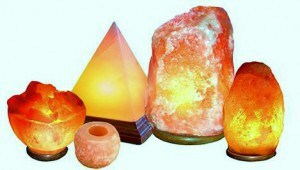 While there are many other benefits of using Himalayan Salt here we will mention only what relates to the salt lamps. As a result of using Himalayan Salt Lamps, you will find there are health benefits both direct and indirect many can benefit from. We have seen how negative ions absorb moisture in the air by the hygroscopic process, taking with it the many positive ions that have attached to it many forms of viruses, bacteria, and even mold spores. It is these issues that can create a bad environment for the body’s respiratory system. Take also the fact with the current technology we are bombarded with electronic devices around us TV’s, computers, Laptops, Mobile phones, Printers, along with the many other items you may have around you at home or in the office. All of these put out positive ions that create stress in dis-stress. It’s time to get out the negative ions and stress less instead. As the negative ions absorb these many pollutants mentioned earlier, a change in the air we breathe starts to take a positive effect. The air is cleaner, fresher, easier to breathe and absorb. As a result of this, many other positive health benefits may occur. • It helps to promote respiratory issues such as Hay fever, sinus and asthma, and allergies. There are many who have sworn on how amazing the changes in the breathing patterns have been for those struggling with respiratory issues. This is due to the fact of how the dust particles along with any spores and virus are caught by the negation ions. As a result, less of these particles are circulating the air around us. The continual use of the Himalayan Salt Lamp will help to maintain the air cleansing process. After a week or two many will notice that there is less coughing, sneezing, perhaps less use of Asthma sprays. Sinus sufferers will also benefit as dust and other airborne particles are not being absorbed into the lung but absorbed into the salt lamp instead. Having a salt lamp near the bedside cabinet will certainly help not only with the breathing but as there is better quality air being absorbed this will certainly take on a better effect when going to sleep. The better quality the air it absorbs into the lungs the better the breathing will be the more relaxed you will become which leads you to the more relaxed state of sleep. You will find also that placing a Himalayan Salt Lamp on the bedside table next to your children they will tend to become more relaxed and gain that better sleep as well. Perhaps even improve their sleeping patterns. Not to mention the ambient glow of the light is soothing itself which will present two main benefits if not more. 1. The light is not as bright, so for those who fear the dark while trying to sleep (great for young children), this will certainly help them. There is enough light to see but the ambient color is relaxing and will invite a more responsive peaceful sleep. 2. The negative ions that are generated will help with breathing, promote relaxation and create a calmer state of mind. 3. Having a relaxed state of mind knowing that your body is starting to benefit overall in many different ways such a better sleep, you are breathing better quality air, some become more relaxed and peaceful in general. Having a Himalayan Salt Lamp regardless of the above benefits has one thing going for it that those man-made ions generations won’t have. 1. 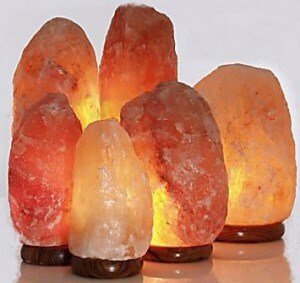 It doesn’t cost an arm and a leg to have one in the home, depending on the size, Salt Lamps can range from $20 to a couple of hundred dollars. But the higher costing lamps can weigh anywhere from 60 kilos (about 132 lbs) or above. Having a 4-6 kilo (8-13 lbs) lamp is great for the bedroom. Other places can be on your desk, lounge room, in fact anywhere within the house. Make sure they are not placed in a highly moist or humid area as this can create excess sweating on the lamp which will be damp to the touch. 2. Some generators can create some noise and for many or most will need to be turned off each night. Himalayan Salt Lamps can be left on day and night. Of course, if going on holidays it is advisable to disconnect the cord and bulb from the lamp and wrap the salt lamp in plastic to avoid absorbing too much moisture while you are away. 3. The look the salt lamp has a certain relaxed and very beneficial ambiance. How many man-made generators will give you that relaxed and ambient feel just by looking at it? Much of the stress symptoms received can be due to the many positive ions that have been generated day in day out. You go to work with all the machinery and other equipment then come home to many other electrical devices and this just adds to the negative impact on you. For many Stress and Anxiety, can create many other issues. As the negative ions go to work in negating those harmful positive ions you get those feelings of goodness within you. The air seems better, the breathing has improved, and you will find your attitude is changed for the better. As all these and many other actions occur you will find that the stress levels originally felt will have reduced even though you make have the same amount of work to do as previously. Even without the above health benefits, the soft ambiance of the Pink Himalayan Salt Lamp can also physiologically help relax the mind regardless if you sit and look at the lamp or just notice its presence in the home or even office. You know that the lamp will be of benefit to your health when you have it near you and turned on, but at the same time, you are also letting yourself physiologically know that you will feel better as a result. This subconscious action will also help with the release of serotonin and bring about a relaxed state of calm. Serotonin is a chemical within the body that when released helps to maintain the mood balance bringing that well-being and happiness state. A deficit of serotonin can lead to depression, sadness, and that down and out feeling. Positive ions just strengthen this bad mood feeling. Positive ions just strengthen this bad mood feeling. 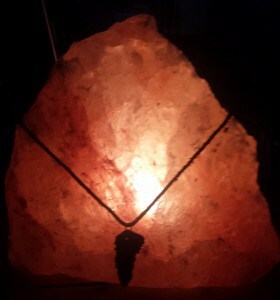 There are many great benefits to your health in using the Himalayan Salt Lamps, however, they, are not magic pills nor are meant to be a cure-all for many issues, be it for body, mind or spirit. If there is an issue with your health please consult your physician or qualified health practitioner. Have you purchased Pink Himalayan Salt Lamps? It would be great to hear what changes you have noticed around you. Remember this not only relates to health but as you improve the way you feel you will also improve the way you think and do. Thank you for the very thorough article on pink Himalayan salt lamps. 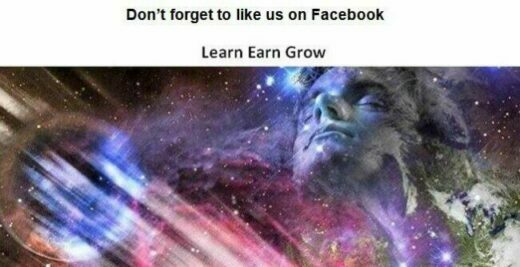 I learned a lot. I have to admit that I’ve never heard of them before. I’m interested in exactly how do they work. I find it fascinating to learn about this. I’ll do more research and I’ve bookmarked your website for future use. Thank you, Robert, for reading about the Himalayan Salt Lamps much appreciated. You are not alone as I have seen a few people unaware of what are these lamps yet let along the many benefits they can have as mentioned in the post. As you have seen and read there are many shapes and sizes of the Himalayan Salt Lamps. Depending on where and what the purpose is in using these lamps it is always great to select the right one for you. Please let me know if you even choose to get a lamp for yourself and comment on how you have found the benefits for yourself. Enjoy your research and please do visit again there is so much to learn and more will come to this site as we progress. Really enjoyed reading this post, Andre. Love how you have gone into great detail on every level, from the geography, sizes, and all the various health benefits for body, mind, and spirit. I love my salt lamp. Mine is the kind that holds a candle. Some of the benefits you mention I did not know about, so again, a very informative and helpful post. If I didn’t already have one, this post would definitely make me want to purchase one! Thank you for taking time with your comment and input. I am very honoured to have someone of your calibre visiting my site. Yes, they are great with so many benefits such as stress and anxiety. Apart from the three lamps when I purchased them I was supposed to get one candle holder as well, but they were out of stock. So two weeks later the supplier have them delivered to my home and gave me an extra candle holder for the delayed. Wishing you continued success with your website sacredscribe.com and what an awesome site it is. I have learnt much from your writings. I had heard of salt cave/room treatment, I think I’ve seen something here in the UK about a place that has opened recently. I’ll check it out. 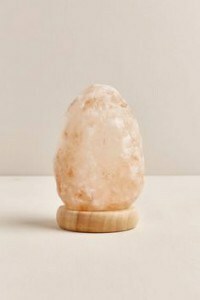 I salt lamp or two are definitely on the purchase list, my husband would take some convincing to use and inhaler to help with his breathing/snoring but a lamp would quietly do the work in the background. Thanks for the response back appreciated. That’s great that the salt lamps are on the list, having one on each side of the bedside tables would not only be great for both health wise, but the ambience would also work well. Work out what size you would prefer before purchasing them. The reason I say this is because the ions generated has a certain radius depending on the size of the lamp. Obviously, the larger the lamp, the larger the radius. You could use a 2-3 Kg Himalayan Salt Lamp which will be great, but an 8-10 Kg would be perfect on each side of the bed. Both sizes by your bedside table would work well. The 8-10 Kg is the size I have in my bedroom and mine is about 24cm in height which is not too much. As for the salt Inhaler, yes it may take convincing to use but the need to breath and reduce the snoring is an important reason to try. If his snoring is bad along with the breathing if you haven’t already, may I suggest seeing a qualified practitioner as there can be other issues that can be the cause or can create issues in relation to the snoring and breathing problems? This can also result in excess tiredness during the day from the lack of proper sleep along with the regular breaks in breathing pattern if the snoring is bad. Been there done that myself. Wishing you both well, I will also send out some distant healing to your husband along with energies to you as well in my next mediation which will be in a few hours tonight. I really enjoyed reading about the salt lamps and what benefits they can have, particularly with sleeping. My daughter has one of these in her living room but despite noticing it, I never asked her what it was. Do any salt lamps have a facility for putting candles in or would that not work? Do they actually deteriorate over the passage of time? Thanks for the visit and comment much appreciated. Yes you can use candles they are candles holders. If you look at the first image on the post you will find a single candle holder in that image in front of the Pyramid lamp. Just place a candle and as the heat begins to warm up the salt lamp will do the same function as one with a lamp. Just bear in mind that the larger the salt lamp the larger the radius that the ions that are generated will also be. Personally the candle holder would be more for the aesthetic look rather than use them for say helping with sleep and clearing all those positive ions from the air. They will work but these holders are about 1 Kg in size. You can get candles that can last for about 8-9 hours just take care if there are still burning while got to sleep and they are in a safe place due to the flame of the candle. This is also a great reason why the salt lamps using the bulb are better as you can leave them on 24/7 which is recommended and this is what I have been doing. As for the deterioration they should last many years to come if you take care of them regularly such as wiping them with a damp (NOT WET) but damp cloth say once a week or fortnight depends on the moisture and humidity in the area you are at. The higher the moisture and humidity, the greater chance of them sweating which will need wiping clean. Also note that this will happen if the lamps are turned off if using the bulb or candle is not lit. The warmth generated by both will help to dry this moisture. That is another reason why it is preferred to leave them on as much as possible. Also make sure you know where you want the salt lamps as moving them regular can at times shake the bulbs especially if they are not secured properly. This would be the same for any lamp or equipment that would use a bulb. Aside from that yes they would make great Christmas Presents as there are many varieties in sizes and shapes. That is why I tried to list many different versions on the website at the bottom of the post. Wishing you well and let me know if you need any other questions answers hopefully I will be able to. These look great, I never knew they had so many benefits. I’d only seen one before in my Reiki practitioner’s room. I think I”ll try and get a couple for my house, do you have any information as to whether they would help with snoring? Thank you for the visit much appreciated. 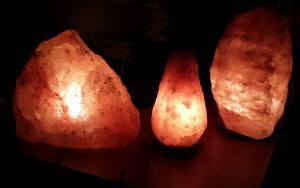 Yes, there are more benefits with the Himalayan Salt itself but as this post was about Salt Lamps I wanted to only focus on that. 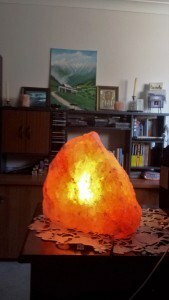 Having a salt lamp in the Reiki room is a wonderful benefit along with the added energy during Reiki. This is great to have in many places such as Massage rooms, offices etc. and I would love to see them in hospitals as well. With the snoring, the Himalayan Salt as you already read has great benefits for those in need of cleaner air without the added dust and other contaminates that cause or hinder respiratory issues. 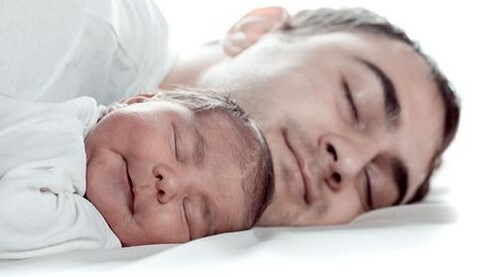 There are various ways that snoring can better the main help is to open the air passages. So for a start, you are getting cleaner air to breathe. You can also get dry salt inhalers I have provided a link here if you are interested (http://amzn.to/2fuVUNN ) these are designed for those with various respiratory issues which also includes those with snoring issues. Not sure which country you are in but there is also what is known as Salt Therapy which can include being in a salt room and inhaling the salt this was along with the salt inhalers that can by used anywhere. The inhalers would be used just like asthma uses would with their inhalers.